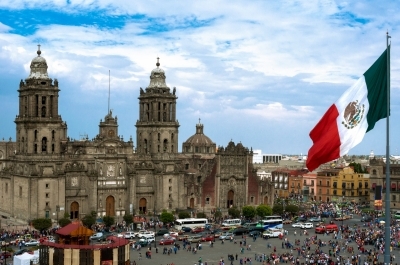 The new political reform in Mexico approved in 2013 has had a negative impact on money supervision and the campaign finance system. This has put the problem of corruption front and center on the social agenda. The paradox of this new reform is based on political support and electoral financing. The reason behind this is that Mexico’s campaign finance system has directly generated an exponential growth of cash-based clientelism, which is at the origins of its current legitimacy crisis. Alejandro Poiré has devoted his career to the study and construction of democracy in Mexico. He holds a Bachelor´s Degree in Political Science from ITAM and a PhD in Political Science from Harvard Kennedy School of Government. He later became a member of ITAM´s faculty and Chair of the Academic Department of Political Science. His career as a Public Servant started in 2003, when he was named a senior official in Mexico's Electoral Institute (IFE), where he enforced the laws on political parties, which included disbursement and auditing of their public finance. In 2005 he was awarded the Robert F. Kennedy Visiting Professorship in Latin American Studies in the Harvard Kennedy School of Government. In 2007 he joined President Felipe Calderon´s administration where he served in different positions such as Undersecretary of State for Population, Migration and Religious Affairs, Agency Secretary of the National Security Council and Cabinet and Spokesperson of the Security Strategy of the Federal Government and, finally, Minister of Interior. As an Academic, he has published many articles, chapters and essays on democratization, political parties, public opinion, security and democracy and has given conferences in more than 20 Universities in the United States, Latin America and Europe. He has also been a Fellow in Stanford and MIT.He is founder of the social enterprise Mexico Crece, which searches innovative solutions for increasing opportunities for young students. On August 2013, he was appointed Dean of the School of Government and Public Transformation of Tecnológico de Monterrey.